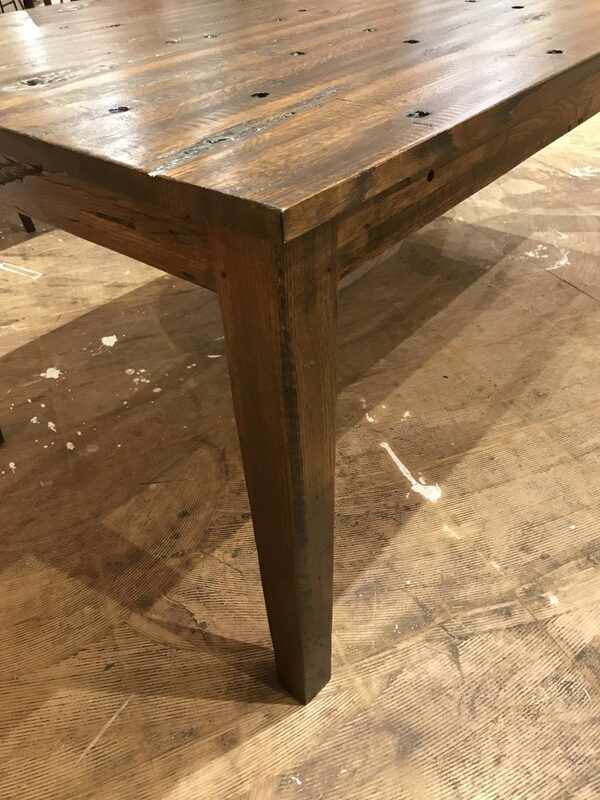 Built to last and made in our shop right in the heart of downtown Fredericksburg, our Wyn cargo table is constructed using reclaimed oak decking from the backs of semi-tractor trailers and locally sourced red oak to make the base. 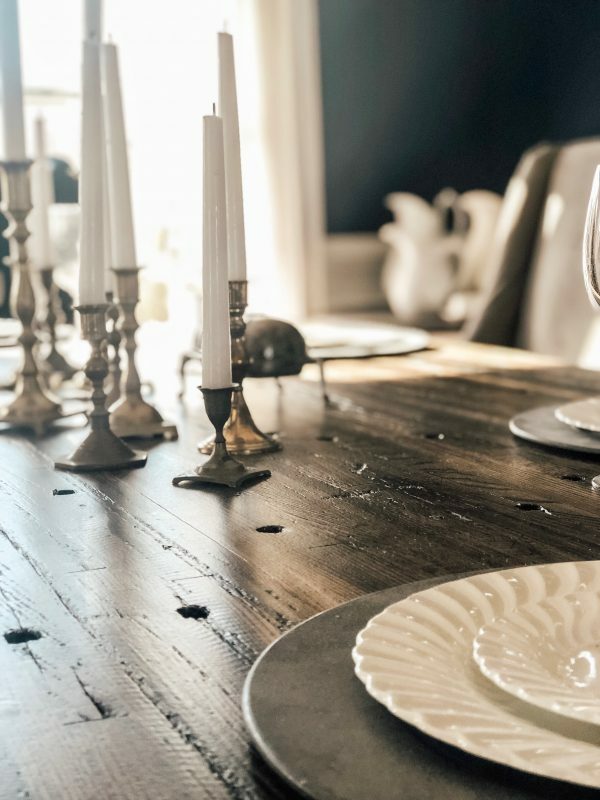 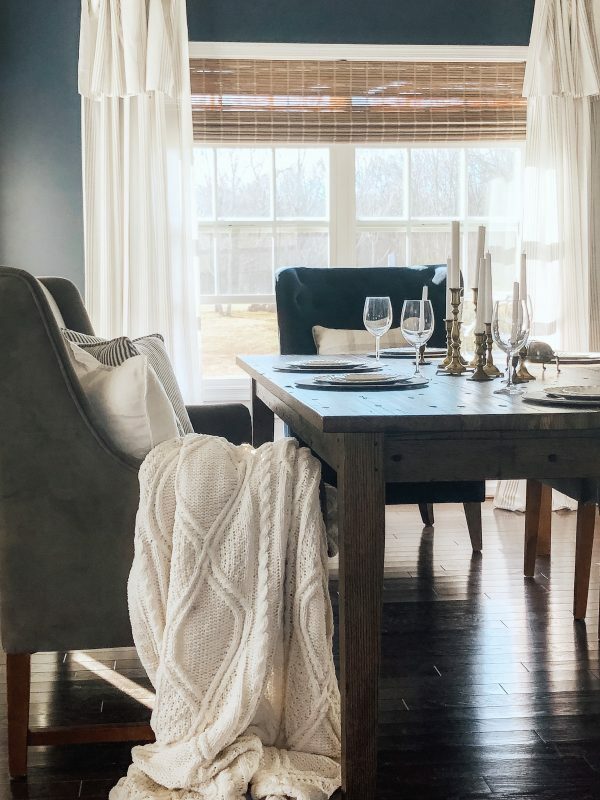 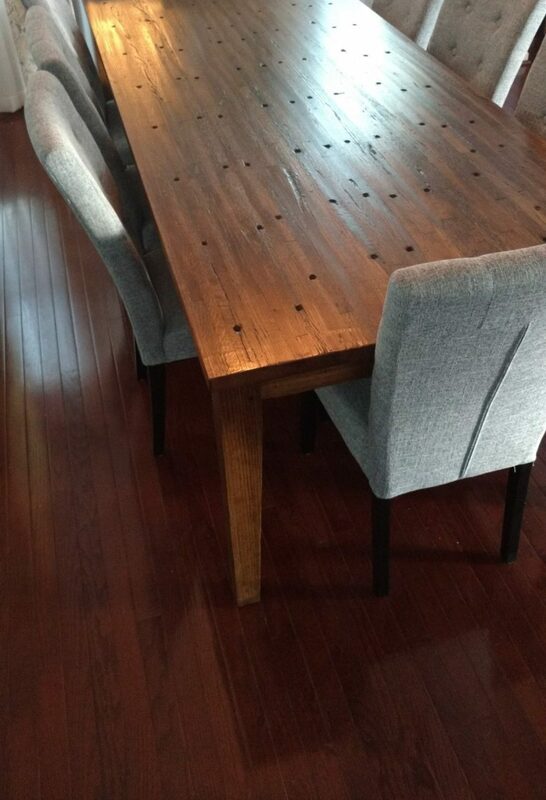 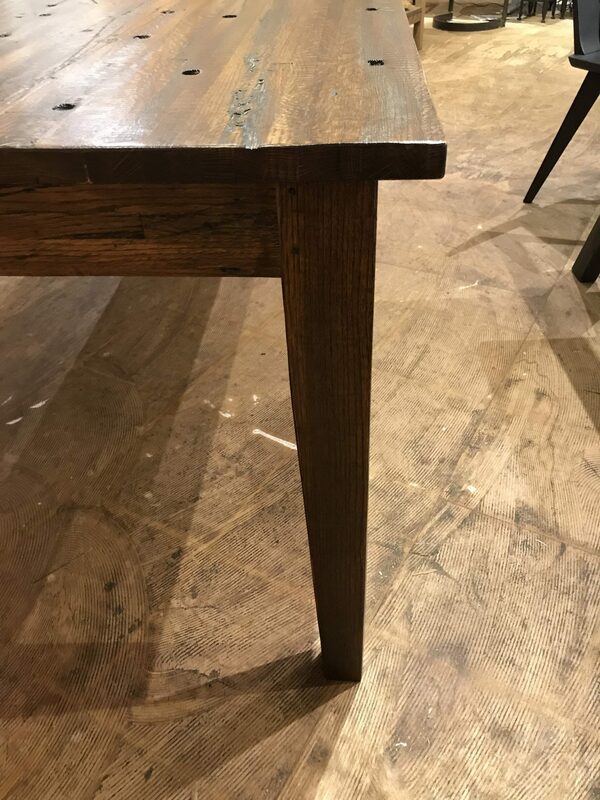 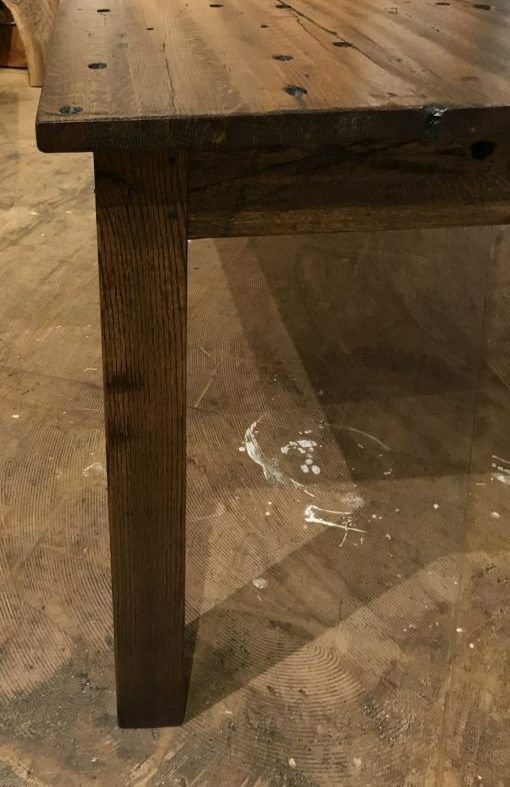 Combining traditional mortise and tenon joinery with modern finishing techniques, this table is available in 8 different sizes and four different finish options and two different leg styles. 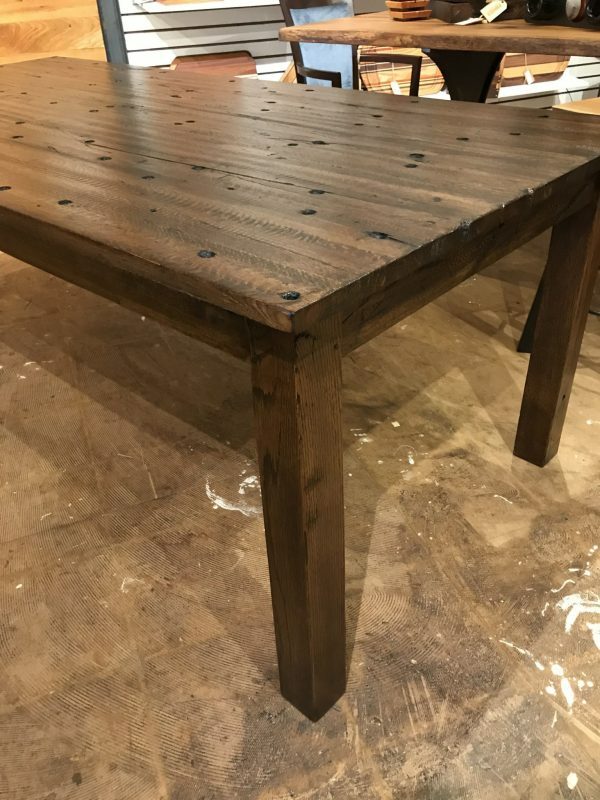 We do stock a few sizes, call today and see if this table can be yours today. 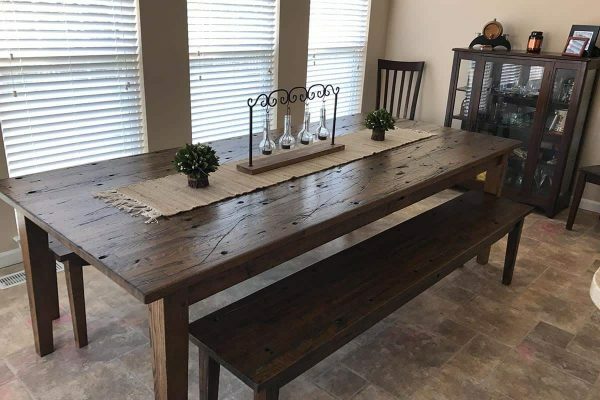 If we don’t currently have one in stock, we can make one for you in about 4-6 weeks.